April 17, 2018, 8:30 a.m.
By Denise-Marie Ordway April 17, 2018, 8:30 a.m. Here, JR’s Denise-Marie Ordway sums up some of the top papers in digital media and journalism from the first quarter of this year. As we enter 2018, academics continue to focus on the problem of fake news, working to understand who seeks it out and how to keep various types of bad information from spreading online. But there’s plenty to keep researchers busy in the ever-changing realm of digital media. Below is a sampling of studies published or released in recent months that offer insights into important topics such as fake news sites, media bias, and using virtual reality to tell stories that evoke empathy. Everybody interested in audience analytics and other aspects of “measurable journalism” should check out this special issue of Digital Journalism. “When Citizens and Journalists Interact on Twitter: Expectations of journalists’ performance on social media and perceptions of media bias”: From the University of Vienna and Universidad Diego Portales, published in Journalism Studies. By Homero Gil de Zúñiga, Trevor Diehl, and Alberto Ardèvol-Abreu. Plenty of reports over the years have highlighted the news media’s problems securing public trust. Scholars are curious about how that relationship may change as journalists increasingly rely on social media platforms to gather information, interact with audiences and promote their work. In many ways, these platforms offer an open window into the reporting process. They also allow the public to witness conversations between journalists and the people they cover — dialogue that can be interpreted in many ways. “Political Fact-Checking on Twitter: When Do Corrections Have an Effect?”: From Cornell University, Northeastern University, and Hamad Bin Khalifa University, published in Political Communication. By Drew B. Margolin, Aniko Hannak, and Ingmar Weber. To date, research on the spread of rumor and fake news stories indicates they are difficult to stop and that, under certain circumstances, people confronted with the truth will hold even more firmly to false beliefs. This new article investigates whether social network relationships can help stem the flow of bad information. These researchers performed two studies, both of which looked at how Twitter users correct one another. For the first study, the team analyzed tweets posted between January 2012 and April 2014 that were sent in reply to a user who had made an incorrect statement about U.S. politics. Researchers focused on how the people who received these tweets, which often pointed out the error and made reference to one of three fact-checking websites, responded. For the second study, the researchers manually scraped Twitter for tweets posted between October 31, 2015 and February 3, 2016 that contained hyperlink references to Snopes.com. Again, they scrutinized interactions between Twitter users who made inaccurate statements and those who pointed out mistakes. This time, the researchers compared users’ responses based on whether the incorrect statement was related to U.S. politics or another subject. The findings suggest Twitter users are more likely to accept corrections from friends and individuals who follow them. But they’re less likely to accept corrections to an error related to politics than another topic. “The science of fake news”: From Northeastern University, Harvard University, Berkman Klein Center for Internet and Society, MIT, Tufts University, Indiana University, University of California, Santa Barbara, Dartmouth College, Yale University, Microsoft Research, Columbia University, Brown University, and Boston College, published in Science. By David M. J. Lazer, Matthew A. Baum, Yochai Benkler, Adam J. Berinsky, Kelly M. Greenhill, Filippo Menczer, Miriam J. Metzger, Brendan Nyhan, Gordon Pennycook, David Rothschild, Michael Schudson, Steven A. Sloman, Cass R. Sunstein, Emily A. Thorson, Duncan J. Watts, and Jonathan L. Zittrain. In this paper, a group of high-profile academics from a range of fields offers a strategy for better understanding fake news in order to prevent its distribution and influence. The group briefly outlines what’s known to date about the challenges of stopping fake news and the limitations of fact-checking. 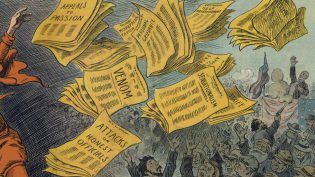 The scholars focus on two types of intervention: helping people better recognize fake news when they see it and making structural changes that lower the public’s exposure to false content that mimics legitimate news coverage. “Selective Exposure to Misinformation: Evidence from the consumption of fake news during the 2016 U.S. presidential campaign”: From Princeton University, Dartmouth College, and the University of Exeter. By Andrew Guess, Brendan Nyhan, and Jason Reifler. Speaking of fake news, we don’t know much about those who seek it out or the types of fake news preferred by individuals who frequent fake news websites. This paper offers new information on both fronts. And what about fact-checking efforts? Did they reach consumers of fake news? According to this study, almost never. “Walking in Another’s Virtual Shoes: Do 360-Degree Video News Stories Generate Empathy in Viewers?”: From Columbia University. By Dan Archer and Katharina Finger. Columbia’s Tow Center for Digital Journalism does a lot of research on how technology is changing the way journalists present the news. This white paper from Tow offers important insights on how audiences respond to material presented as a 360-degree video. Archer and Finger teamed up to investigate whether virtual reality can prompt users to feel empathy toward a subject and whether head-mounted or desktop-based VR equipment provides a more interactive experience. “Populism, Journalism, and the Limits of Reflexivity: The case of Donald J. Trump”: From the University of Colorado Boulder, published in Journalism Studies. By Michael McDevitt and Patrick Ferrucci. Academics and journalists differ in their assessment of the media’s role in Donald Trump’s rise to the American presidency. This paper offers important — and fascinating — insights into how journalists evaluate their work and its shortcomings. “Much is at stake in how journalists make sense of their contribution to Trump’s success,” the authors write. McDevitt and Ferrucci conducted a textual analysis to compare the discourse of scholars and news media professionals in the days after the 2016 election. They analyzed commentary from 86 academics who contributed to a volume titled US Election Analysis 2016: Media, Voters and the Campaign, produced by Bournemouth University in the United Kingdom. They also examined 212 articles published in top newspapers that discussed the press’ role in the election. “Quantified Audiences in News Production: A synthesis and research agenda”: From the University of Massachusetts Amherst, published in Digital Journalism. By Rodrigo Zamith. Zamith also points out numerous questions that scholars have yet to answer. For example: Do journalists who rely heavily on analytics see their audiences as more or less intelligent, participatory, rational, reasonable, or thoughtful? Also, as changes in news consumption make news organizations’ homepages less important, how do metrics affect the way content is presented on chat apps or promoted through social media? We’ll be watching out for that research. 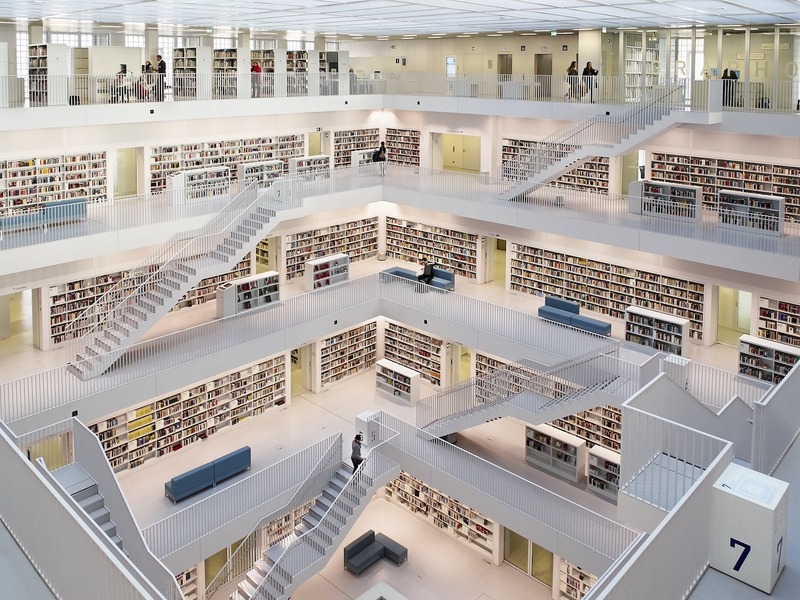 Photo of the Stadtbibliothek Stuttgart by Nordseher. POSTED April 17, 2018, 8:30 a.m.
Ordway, Denise-Marie. "Fact-checking the network: The most interesting digital and social media research of early 2018." Nieman Journalism Lab. Nieman Foundation for Journalism at Harvard, 17 Apr. 2018. Web. 24 Apr. 2019. Ordway, Denise-Marie. "Fact-checking the network: The most interesting digital and social media research of early 2018." Nieman Journalism Lab. Last modified April 17, 2018. Accessed April 24, 2019. https://www.niemanlab.org/2018/04/fact-checking-the-network-the-most-interesting-digital-and-social-media-research-of-early-2018/.